First, it’s not always about having the extra cash to buy preps, it’s often about your own awareness, ingenuity, creativeness, and adaptability to offset risks that come your way and/or to find unique solutions to problems (e.g. while being short of cash). You will be better prepared (in general) by simply recognizing and understanding the risks – since most other people have little or no clue. Research, learn, look around, listen, be observant, have situational awareness, and think – critical thinking. It’s all free. Having knowledge of the risks around you, puts you a step ahead of the rest and will steer you in the right direction for making a plan to mitigate those risks. Having the mindset to adapt and change to SHTF circumstances is extremely important to stay steps ahead of the rest – many of whom will be stuck in indecision or disbelief for awhile. Become comfortable with change. Mind over matter. It’s free. Are you trying to build a food storage, but you don’t have the extra cash? Think again… Adjust your eating habits and food-purchase habits so that you can build a food storage. It’s easier than you may think, but it will require some changes to your current diet and grocery shopping behavior. Chances are that you could significantly increase your food-cash-savings or the quantity of food that you’re bringing home by being smart and practical about what you buy. You may not like it, but you can learn to like it – eat foods that cost less – enabling you to store more of it. For example, an article titled Cheap Breakfast For Surviving Hard Times describes one way how you could eat a breakfast (serving) for just 10 cents! (or thereabouts). If you were to adopt this breakfast for say, 3 months, and if your ‘typical’ breakfast had been costing you $3.00, you would save $260. You can buy a lot of food storage with that money, and that’s just using a breakfast substitute! You could switch to a powdered milk alternative and potentially cut your milk costs in half. You could eat more rice and beans, which have seemingly endless possibilities of variations with other spices and add-ons. Eat less processed foods (which almost always costs more), and learn to cook more from scratch. Use coupons. Buy on sale. Buy in bulk. Buy store brands. Besides shopping food smart, learn how to be frugal in everything that you do. Always question every purchase that you’re about to make. Do you ‘need’ it? Are there less expensive alternatives? Is there a ‘dollar store’ near you? Ever considered buying clothes at the Good Will center or a thrift store? You will be amazed at the bargains. Get over your desire to dress with the newest of clothes and styles – don’t fall for the marketing BS. These are just some of the ways that you could enable yourself, even if you’re ‘broke’. What are your ideas for prepping when you’re ‘dead broke’? I sometimes buy a precooked chicken at Costco for $5. It makes two meals for the two of us (I get a breast and my wife likes the leg and thigh) and can even have a small amount of meat left over for a soup. After taking all the meat off the chicken I put the bones and skin, etc. in a stew pot with two quarts of water. Simmer for 3 hours and strain out the solids and you have a perfect broth to make soup. Use the extra meat, a carrot or two a stick of celery and a couple handfuls of noodles or 3/4 cup rice and cook. Three meals from one $5 chicken. I have a chicken adobo dish, (Philippino) that costs about $1.25 per serving if you’re interested. I lived on it for lunch and supper for 7 months and never got tired of it, really good! Consists of chicken thighs, rice and steamed vegies. chiller–those that don’t know how to budget or save for a rainy day probably don’t know how to cook!!! I’d be interested in your recipe. I would love the recipe please. it’s basic financial physics. you have to spend less than you make. you have to set aside for a rainy day. once you get a small cash fund set aside to cover one month’s expenses, buy one month’s worth of food. than make a bug out bag. if you have children, get one month of stuff for them and buy a few extra of much larger sizes (coats especially). then buy a hi-point in whatever caliber you prefer and a ruger 10/22 and a single-shot 12 gauge; get a couple extra mags and ammo for each. all items listed would be less than $1000 (plus that one month’s cash). If you dont have money store Rice, Pasta and Lentils and, Sugar and Wheat flour, Grits and such on.. Plenty of Calories, fills your stomach on the cheap, and properly stored good for years. – In Addition get vegetable oil or another fat thats long storable, Fat is vital. And then what after a month? “Bug out” without anything left than 3 guns for the looting vagrant career and get killed with your kids? It’s a process. One month of food puts you well ahead of most people out there. When you’re ahead another month, do BOBs. Etc. Not all at once. But so what if you only have one month? What about those people who “bugged out” with nothing? Already dead, right? That one month of supplies puts this individual FAR ahead of the majority. The point is START somewhere. And don’t try to discourage people who have very little. That’s the point of this article. It’s always possible. food foraging is also a great way of cuting down on the costs. I have been researching into native plants in my area that you can eat. I figure that if things get really bad and the obvious foods such as fruits and berries have gone then there will still be other edible plants available because people will not recognise them as food. You can take foraging even further by learning how to cook things like acorns. Hopefully the SHTF in acorn and berry season or it’s a long wait with nothing but foraged foods to rely on. Kudzu, plaintain,sorrel,wild onions and garlic… all can be the begin of soup. Kudzu, is full of minerals.. grows very fast like 2 ft a day. gather tenderest leaves, wash pat dry, dehydrate…(hot car works with cracked windows)cut with scissors and grind into powder. add to soups and stews for high mineral and fiber benefits. My 750cc motorcycle gets 55 mpg, is quite fast and insurance as cheap as a scooter. Anything over 750cc’s and the mileage goes down fast. I thought about a scooter but you can get run over because they are very slow and are not allowed on most highways. It’s a 95, was $2,000 used and runs great. The only problem with motorcycle travel is the winter. i also have a 750cc and its great, I just wouldn’t want to get caught out in a blizzard with it. I shop @ dent and scratch store most of the time. These stores buy “soon to be expired” products, dented canned food, extra inventory from major stores like walmart. Now I never buy dented canned food, but I can always find brand name products for 25 to 90 % off from grocery stores. I heard about these stores from friends, so ask your family and friends. Other way for me to save and get extra money is by trading my time. I watch my friend’s kids while she is at work. My daughter and I eat breakfast and lunch at their house and she pays me $50 a week. I also take a friend of mine who is an elderly and can’t drive to doctor’s appointments and grocery shopping a few times a month and she buys me $100 worth of grocery a month. If you have extra time to spare, you can use it to make extra money! Couponing is another way to start stockpiling food. Lots of coupon forums out there–research! You can also start saving empty pop 2-L bottles, clean them, fill them with water, close them up, and stash them. They fit under the bed or in the corner of a closet. Work on your barter skills. I’m a single mom, so I’ve learned to barter well–my neighbor shovels my driveway and picks up my dog’s poop in exchange for free internet. I’ve traded handmade items for family photos. I’ve traded baked goods or home-cooked meals for heavy lifting or construction projects. You can also learn do to things for yourself. I’ve taught myself basic construction skills and have built several pieces of furniture for my home for cheap, and they look like they came from Pottery Barn! No more Sauder furniture for me. With some dimensional lumber, elbow grease, paint or stain, and some nails and screws, I just build my own to my specifications. Learn to make soap and cook from scratch. It amazes me how many of my friends don’t know what to do with a squash or how to cook anything unless it comes from a box or can. It’s also cheaper to eat this way–I can make an amazing loaf of bread for pennies, and it tastes way better than anything store bought! Many possibilities without a lot of money–I know because I’m doing it. Michelle–I have been shopping for 45 years and have yet to find a coupon for any foods I buy. I buy generic and they are as cheap as they get. Gas wasted going from one store to the next for coupons? Find an Aldi’s, Kroger’s, Big Lots, SavALot, an IGA Priceless…a place that already sells great store brand foods for less. Coupons are totally overrated. They are a huge hassle, very time consuming, and you have to eat whatever is on sale. No thanks. Depends on where you live and what’s around. I don’t have Aldi’s, BigLots, Kroger, etc, and I refuse to shop at Valdemart. I don’t coupon shop, but I can see the reasons behind it. If meat is 1/2 off at one store with a coupon and I usually shop at another store, if the first store is on my way to somewhere else it’s not a waste at all. Love your name for the evil valdemart store and do try to avoid, but they do occasionally mark down those yummy rotisserie chickens cheaper than I cook one, so I literally run in once a week to search the clearance foods. Coupons work if you have plenty of time to dedicate to it, and can buy every day of every week. shopping once a month it does not work. with double coupons and a good sale it is possible to get items for free in cities.In the country extra trips cancel the benefits. Thanks for recipe.I have watched Rachael Ray fix macncheese from scratch & it looks easy but brought up eating the boxed Kraft macncheese. bought the new one & tasted awful. need to learn how to cook seriously. When you’re dead broke-and we definitely are-you learn to prep by doing things, not acquiring things. Learn how to put in a garden and save heirloom seeds, Learn how to start a fire in the rain or wind. Learn about the edible and medicinal plants in your area. Learn how to entertain yourself (cards, dice, board games, etc). Learn how to make your own soap, cement, clothing, sourdough starter, etc. The list goes on and on. Remember that no matter how many preps you have, you will run out eventually so learn to prepare yourself for that. In some areas there is free food for the picking. I just finished making 14 qt apple juice & 13 qts apple sauce from someone who had more crab apples than they can use. Will give her some maple syrup in trade. Today my sister in law & I are going to pick some apples that make good pies . There are lots there & all she wants is an apple pie from each of us in return. Just start net working & it is amazing what may turn up. If you have notice a fruit tree that doesn’t get picked. Ask if you could pick some & share what you pick with them. Sometimes older people can no longer pick the trees they planted years ago & would love to share. Keep your eyes open & you may be surprised what is available for free or for a trade. Feed two for $1 easily with pasta salad, cold or not. Yes, for less than a $1, you can have a healthy meal. Anyone can eat on the cheap, BUT- How do you eat HEALTHY on a budget? Avoiding all the chemicals and processed foods? By eating cheap you ARE avoiding all the chemicals and processed foods. Learn to cook. Cook from scratch. If you want brownies, make em from scratch, not a box. If you want pudding, same thing. If you want chicken pot pie..make it. Bread, bake it. You control what is in the food you make. You control everything about your food. You can perfect your food to your tastes, and make the best food on Earth…at least for you. The best pies, biscuits, stews, fried chicken, pancakes, & sauces. Not just good..the BEST. Not only the BEST, but the cheapest, and healthiest, too. Spudweb–you are so right. I am a senior and shutter at the produce prices. I am so glad I know how to cook, but even I don’t buy fresh broccoli and asparagus. Point made–the poor go to McDonald’s for the $1 meal for their children, not stir fry with snow peas @ $4 a lb.!!! Stir fry can be cheap too…Left over meat rice and ANY veggies you have in the fridge or freezer. I make it once a week at least and use any leftovers i have. As far as im concerned it is a free meal. Nothing gets thrown away and we love it. Just made fried rice with leftovers and free condiments I grab before co-workers throw away. Hardly ever buy ketchup, mustard, soy sauce, etc. They know me now and even drop stuff off at my desk! All they know is that I’m frugal. You can grow your own food in containers or a small plot, or grow fruit trees, nut trees and berries. One investment that will give you organic food year after year, or plant seed from wild berry plants. I gather organic food like fish, wild lambs quarters and cattails from the wild where I live which is plenty. It is entirely possible. A bag of potatoes for $3, prepared and bagged in the freezer, will give you dozens of meals. So try this. Buy a bag of potatoes, a bag of onions, a bag of carrots (anything you can get in bulk) when they’re in season and thus cheaper. Process in bags in the freezer, or dehydrate. So now you have potatoes, rice, carrots and onions, for less than $25 and it will last you a month or more. At this point you can use your food budget on that cut of meat, the peppers or mushrooms or asparagus, whatever. When you run out of any one basic item, first priority is to replace it. The myth that you can’t eat healthy and fresh is just that–a myth, which the food marketers use against you. Of course, the list will change based on ethnicity and so on, but the idea is the same. It’s hard when you start, but definitely not impossible. Each week when you go shopping add one item to your “basics.” Buy things you’ll use, and replace them as you go. get low sodium worcheschire sauce and soy sauce, prepare vegs from frozen or fresh, OR check farmers markets or ask neighbor to teach you about their garden as you assist them. Get bullion or vegetable powders to add depth and flavor to pasta’s and rice mixes. powdered onion and garlic seasonings and spices..Dehydrate vegetables, powder to add to terriaki noodle entree with a 5oz can of chicken,or ham,or turkey…to make an entree for 2.I use only half of seasoning packet. Poor people must learn to cook from scratch. The cheaper the food, the more talent it takes to cook well, and the longer it takes to cook it. Such food is also made in larger quantities. Dishes created on Saturday and Sunday, continue to feed the family the rest of the week, when there is little time to cook. Try to get work which entails food. A person working for STAPLES, for example, may discover that all the food their store sells has expiration dates on it. Look at the food to see if any is out of date..then tell the store manager. Usually, the manager will instruct someone (such as you) to check all the food for expired dates..and discard it. You take home pounds of coffee products, nuts, granola bars, trail mixes, snacks of all sorts, home for nothing. And, each month…the same thing happens. Just try to be the good employee, who is in charge of this task. You have NO idea of how much perfectly good food is trashed every day. Just imagine how much food Walt Disney World in Florida throws away every day. It is enough to feed every homeless person, and everyone on food stamps, in the entire city of Orlando. A Disney cast member can buy a 50 pound sack of premium rice for under $15 dollars! And, buy many sacks at once. Want 200 pounds of the best rice grown? $60 bucks please. Disney has a store just for cast members and the food it sells is not only really, really, cheap..but it is the best quality food in the U.S.. Not a blemish on anything. I throw more bread away every day, than my family could eat in a year. And, this is just from ONE of our restaurants. (I manage 3 restaurants, and one bakery). Just find some family member that you can get to JUST WASH THE DISHES…and suddenly, you have fresh food every day! Expensive food too. Every night I give my lowest paid workers food. Everything from salads to deserts. A mom and pop store might let you take home “stuff” but any big chain won’t. They will however fire you for taking it. They usually have mark down bins and you can get some really deals there. The store i worked at had a notice posted on the wall that said “Is you job worth a peanut”. Exactly–Today, I baked a apple pie filling cake. Didn’t like the frosting recipe , so made my own…butter, brown sugar, milk..it’s called caramel icing. It made that apple cake with brown sugar in it even better than the icing the recipe called for which was involved and expensive with cream cheese, etc. My icing probably cost $.25. Is that cool or what?? I agree JJ, it’s always cheaper to cook from scratch. I make my own bread for around .60 a loaf. generic is not always cheaper than brand name. recently stocked up on brand names of some stuff, really cheap. items were on sale. had coupons for two dollars off per case of twelve. further, store had a ten per cent off customer appreciation day. other thing is, don’t be fussy, or embarrassed to be frugal, or embarrassed to make good use of what others have not use/interest in. have run in to many situations where someone was cleaning out cupboard, and offering their disliked goods. doesn’t mean anything wrong, just difference of taste. Anon–it’s common knowledge generics are usually manufactured by name brand companies. My mom worked for Frigidaire/Tappan/Electrolux/Kenmore/Whirlpool…. depending on what emblem the supervisor brought at the end of the line. My mother worked at a turkey processing facility for a while. They make one big batch of birds, half of them get the fancy label and the other half get the cheap label. It’s all the same stuff. I used to work at a furniture factory, and take my word for it, even Ethan Allen used a few parts that weren’t real wood. Produce is expensive if you’re buying delicate or expensive items. It helps to look for the less popular stuff — turnips, beets, limes, etc. Look for cheap peppers that have the biggest punch so you’re not buying expensive spices. And yeah, if you eat chicken two or three times a week, it’s cheaper to buy a whole chicken and butcher it yourself. One tip I would give a newbie is to be more deliberate with leftovers. You may not like them, but they are valid food sources. If you totally are not interested in leftovers, try cooking less and making a cheap batch of brownies for dessert. Just stop wasting. Brownie recipe: 3/4 cup cocoa, 1/2 teaspoon baking soda, and 1/3 cup oil (I use olive). Mix well. Then add 1/2 cup boiling water and stir until it becomes thick, about 30- 40 seconds. Then add another 1/3 cup oil, 2 beaten eggs, and 2 cups sugar and stir well. Then add 1/4 teaspoon salt, 1 teaspoon vanilla and 1 and 1/3 cups sifted flour and stir well. Bake in 9X12 glass baking dish at 325 degrees for 35 minutes. This is an awesome brownie recipe and I always get compliments on it. I found it 30 years ago and cannot remember where but I think it was from the maker of the cocoa. You can switch out flour and use whole wheat if you like but use 1 TBSP less since it is thirstier. And I have also used coconut oil before. PS — The single best advice I ever got about stocking up a kitchen: buy one or two extra items in your normal grocery trip. If soup is on sale, get 2 instead of 1. If you have a light week/month when you don’t think you need to buy that much, stick to your regular budget and stock up. You will probably never have a thousand dollars to fall from the sky so you can stock your kitchen. You’ll need to do it one dollar at a time. Watch for BOGO (buy one get one) sales at your local grocery. If you live in the Tampa area there’s a wholesale vendor market straight from the fields anyone can shop at, sold by the case, fruit and vegetables in Plant City, FL. Prices depend upon the season, but after several years of study, all vegetables average out to about .30 cents a pound. Fruits are about .40 to .50 cents a pound by the case. By the case is a great way to can or freeze up some. It’s all outdoor cash and carry from individuals selling out of the back of their commercial trucks. Few examples in season. 35 pounds of tomatoes $6-8.00, 50 pounds of onions $10.00 year around, 50 lbs potatoes including sweet $10.00, 25-25 pounds of peppers $12.00, cabbage heads 50 lbs for $8.00, watermelon and canalopes in season $1.00-1.50 a piece, 40 lbs. of corn is $10.00, carrots are $16.00 for 50 lbs., and there’s a lot more than I can mention. Look around your area and see where the produce stands that don’t grow anything buy from. If cases are to much and you don’t want to can or freeze consider group shopping with friends and neighbors. Buy a vacuum packer like Foodsaver and shop warehouse stores for “family pack” items. This will save a lot on spoiled food that would otherwise go in the trash. “Cash in the Trash”. I love our foodsaver and re-package bulk meat packages regularly. The price of the rolls is outrageous though. You can seal other kinds of bags but it is difficult to get the air out. I have found partially used rolls of bags in thrift stores and have a complete foodsaver that came with a some bags as a backup to the one my wife has been using since the 1980s. The thrift store is newer and cost $15.00. Foodsavers are also great for re-packaging non food items that need to weather proofed for BOBs or long term storage. Foodsaver rolls are also reusable. Just cut them longer than you need, wash after us, allow to dry completely and reseal your next meal or item. Look around for those food saver bags. The local Bi-Mart puts the box of 5 rolls on sale a couple of times a year for $25 – $30. me–the best price I found for bags is on Amazon; have ordered twice and of course free shipping with Prime or I wouldn’t do it. If you have prime check out Amazon. The bags are so economical, I stopped counting inches!! You know what I mean. Record what you actually spend on food, housing, transportation and fuel. Attack the biggest spend first. Once you have taken big chunks out of your expenses, chip away at the “marginal gains”, ie the pennies. For those in rental accommodation, who may have to move every few months, it is not viable to stockpile several months worth. You can put together a few weeks worth of supplies, to cover short term emergencies which tend to be a more common requirement than the a nuclear bunker style emergency. It helps to learn to cook from scratch when you live 70+ miles from a grocery store. Also when the only restaurant is 10 miles away and not very good. After a while you find that home cooked is far superior to ready made. 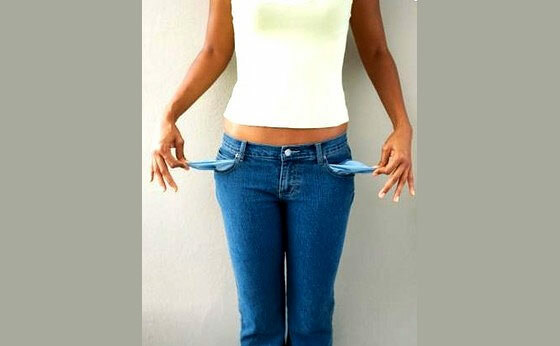 One reason people are broke is the way they spend their money that it is over their budget, and are in debt with Credit Card bills and loans with high interest. I was in that position in 2009 and had a wakeup call to begin to save money to pay off those debts and prepare at the same time by cutting expenses in half to save enough for food storage and security. I spent about a dollar a day for food with wild food supplements and my garden. I got no gov’t assistance. I cut my electric bill down to $45-50 a month. I got a wood stove which saved me $1200 a year on heating bills and electric costs by using it for heating water, drying clothes, and cooking on it. I found another PT job and shopped wisely with sales and Good Will clothes that were practically new. In 3 years I managed to pay off the CC and loans from one of my lost businesses in the 2008 crash and used savings during the cut backs to buy food storage. I went from being broke in 2009 to having my CC loans paid off, having 6 months worth of food storage, paid cash for my truck and new riding mower, cash for dentist work that gave discounts, paid cash for heating, my guns, repairs, maintenance on the home, and thousands $$ in emergency savings in 3 years. It was quite an experience and exciting to find new ways to reinvent my frugality. I did a lot of reading, documenting, and exploring survival techniques using little or no money. So many people underestimate or scoff at thrift stores. I’ve gotten to the point where I cringe at paying full price for things. We are by no means dead broke but that doesn’t keep me from shopping at Aldi’s, the Salvation Army or Goodwill stores. Just last week i stopped by the local Salvation Army family store and picked up a heavyweight 100% wool Polo sweater for $5. Also good to use online resources like craigslist. Amazing what people give away for free. And I have furnished entire houses with after yard sale freebies. I have lots of how to books from the bag sales at the library. Pears from the neighbor down the street. Gently used clothing from the church thrift sale. Got a job that feeds me too. Frugal in everything, debt free, all works for me. No room for gardening but have some nice herbs in containers and seeds for when victory gardens will be dug on any usable land I can find. when offered something, mostly because someone does not “like” it, always say yes please. If it is a can of something you don’t particularly care for, put it away for “emergency”. If it is a product you don’t use, sell it at a garage sale. How crazy is it that someone who is dead broke in America today can walk into a public library, get on a computer and cruise the Internet to find out what to do? I think the skills necessary to live in poverty are going to be very handy in a Collapse. Learning to live on government handouts will never be. A guy I know supplements his income and his preps from what he picks up on trash day.People throw out lawnmowers,bikes,washers and dryers. He goes out early and loads them in his truck.Takes them home,fixes them and resells them. Most are easy fixes too. People just don’t try to repair anything these days. He is amazed that a lot of the items still work but they bought new so the old goes in the trash.He could fill a warehouse with the decent furniture that’s tossed away.One man’s junk is another man’s treasure. For other items besides food garage and moving sales are great.You will literally buy needed preps for pennies on the dollar.The last 2 week ends are best because people are needing money for bills.plan hitting garage sales when you head to town for other supplies.Also after your local storm season people sell generators and equipment instead of keeping it for next year. New or slightly used equipment for half or even less of the original price. When you are at sales ask about items you want. Many times people have them but didn’t think to add it to their sale.I personally have bought bows,arrows,guns and ammo just from asking. My young son earned $8K one year curbside shopping. Anything that could be fixed went to the annual garage sale; otherwise we headed to the scrap yard about every two weeks and made $300-400.00. The garage sales he usually made about $2500.00 all from curbside shopping throw outs. Today he still has that $8K invested. I have tried to go to school at young age in order to stay employed at the type of job where they are always looking for people to work. I now work in healthcare within a hospital that has trouble finding people to work on odd shifts and weekends. One overtime shift can buy a lot of food/preps. If your employer does not feed you or charges you for meals, bring in your own. I have a coin jar on my dresser. I’ve been hesitating to take it to the bank because once it’s in cash I’ll want to spend it. Every once in a while I empty the change out of my wallet and all but 2 quarters, 3 dimes, 2 nickles and 5 pennies goes in the jar. That’s my Christmas/prepping budget. The way things are looking, you might consider getting your Christmas shopping done early!!! If violence continues to escalate, it may be unsafe to be in the crowds shopping later. It’s already done. 🙂 Did most of it last Christmas. The way things are going, can you imagine what’s going to happen after the election? No matter who wins, the losers are going to be screaming in the streets, with the winners celebrating right(riot) alongside them! Talk about a recipe for disaster! An excellent idea, especially if you are the lone prepper in the household. I have a couple change jars. The one on my dresser, my wife gets into for various odds and ends (yard sale money), which I consider my decoy change jar. The other is labeled “misc bolts” and is in my “man space” in the garage. That jar, after two years, let me get a surplus beretta 92. The key is patience. Don’t just go spend it once you get fifty bucks or so. Having it all being in change really helps because it is harder to get into without plunking down a twenty pound sack and waiting for some poor cashier to spend fifteen minutes counting it all out. My latest project to save money is candle making. Ordered supplies at Amazon. Using standup floor band saw with a grit edge blade I cut empty wine bottles to the desired height and as a mould to pour the hot candle wax in. Use a hot glue gun to stick the wick in inside bottom and center the wick at the top using a pop cycle stick across the top. Another option I haven’t tried yet is the use of scented oil mixed into the wax. I may have to make a few clay pot room heaters with a candle in the center, because smoke coming out the chimny would give away the fact that someone is home when it gets colder. Another organization people can check out is freecycle.org. The site is for people who have things they don’t want anymore but they are not in the best of shape to bother trying to sell. Also most people that I talked to told me they don’t have time to run a tag sale, they just want the stuff out of their house. I picked up a bread machine still in the box, a food savor, tomato cages, and a garden hoe all for free. When you join a group in your area the rules state that you cannot sell anything. People will list their items and you contact them if you want the item. It’s also a good way to list things that you don’t want anymore. Exercise! Cut potential healthcare costs. Cycling: runs on fat, saves you money. With suitable rack and pannier bags or trailer, you can do all of your local shopping and hauling, for free, whilst getting fitter. Is it wrong to be this excited about a Presidential election season? Peanut Gallery: Thanks for the information about freecycle. I am one of those people that gave away a bread machine because my wife went on a gluten free diet and the rest of us were getting too fat too quickly. finding inexpensive hobbies is another part of saving money and prepping. Many on this site can their food for later or grow their own. I reload most of the ammunition I fire when I shoot, hunt or compete. DIY is fun and is becoming easier with the internet and utube videos. I, for one, need to get off the couch and walk in the woods more/walk my dog around my neighborhood/ cut my grass/ exercise in general. My favorite forms of exercise at my age is walking and kayaking. I’m not much of a fan of screaming at my television set these days with the conventions going on right now.